The release of DJI’s latest UAS product was met with much fanfare on April 8th of this year. Interestingly, the Phantom 3 announcement was less about new technology demonstration (the Inspire 1 had already paved the way with integrated 4K video and Lightbridge last fall) but rather an unmistakeable push to deliver more “professional” features at a lower price point. 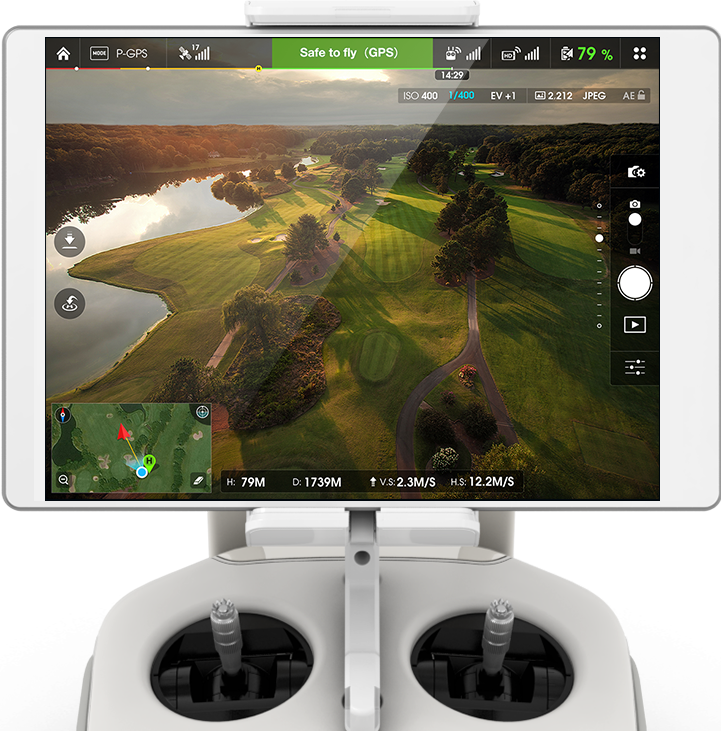 DJI’s slash and burn approach to market segmentation saw their entry level Inspire 1 kit at $2,899.00 seemingly usurped by the new Phantom 3 Professional’s entry point of only $1,259.00. This extremely aggressive move by DJI seems designed to stay out in front of competitors by leveraging their increasing skills as a camera manufacturer, pushing 4K video into a market segment that no competitor is yet able to match. To be fair, the P3 does not have all the features of the Inspire 1 such as an upgradeable camera, retractable landing gears and 330 degree camera rotation. It does however offer one huge benefit over the Inspire – increased portability. Everything needed to shoot professional 4K footage will now fit into a medium size backpack that can travel effortlessly on a hiking trail and conveniently as carry-on luggage. By comparison, the Inspire 1 in most cases, is too large to transport as carry-on luggage. For filmmakers who travel, this portability factor is a big plus that can eliminate the need for checked bags when traveling by air to a one day job. In terms of stability, the P3 is extremely capable. The Lightbridge-enabled HD live feed displays essentially no camera shake while flying, even in high winds. The aircraft’s ability to dynamically adjust flight response while maintaining gimbal stability must be seen to be believed, especially considering its light weight relative to wind gusts (the P3 weighs only 2.8 lbs). In a hover the Phantom 3 performs very much like a “tripod in the sky.” In reasonable wind (5 mph or less) some operators have shown it is even possible to achieve sharp 3 second long exposures. This seems to indicate that the gimbal is achieving stabilization at the sub-pixel level, which is a huge accomplishment on DJI’s part. While the P3’s maximum speed is less than the Inspire 1 and a few UAS competitors (36 mph vs. 50+ mph), it makes up for this speed deficit with an increase in rated flight time of 5 minutes over the Inspire. The Phantom also utilizes lighter, less expensive batteries than it’s older sibling. The ability to loiter longer is a significant advantage if you’re working a complex production that could require anywhere from 5-10 minutes of final set adjustment once the camera is moved into framing position. It is worth noting that the Phantom 3 is less capable in the area of tracking vehicles at speed. The Inspire can meet or exceed 50 mph which is adequate for most tracking shots, while the Phantom’s 36 mph max speed may not reach the required threshold. The degree to which propellers invade the camera’s horizontal view at max speed may also prove significant and detrimental. This is the type of situation where the Inspire 1’s elevated prop position becomes a real benefit to aerial cinematographers. The Pilot App has run with very good stability to date, exhibiting zero crashes on our Android device. We chose to run the DJI-approved Nexus 7 (2013) due to it’s light weight and vibrant screen and so far it has delivered snappy performance over the course of 25 incident-free flights. When set to 100% screen brightness the Nexus 7 has also proven adequate for use in most daylight conditions. The number of adjustable variables in the app may seem somewhat overwhelming for the first time operator, however the learning curve is not very steep and most fliers will begin to gain comfort within an hour or so of operation. The app also provides helpful visual aids for procedures such as compass calibration. It’s a welcome addition that replaces the odd switch toggle procedure implemented on previous Phantom models. The top status bar provides an indication of flight mode, satellite lock count, flight status/alarms, control & live view signal strength and battery level. Below the status bar camera settings are displayed. Manual camera control can be accessed by swiping a finger on the left side of the screen which reveals sliders for ISO and shutter speed. Camera menu controls can be accessed on the right side of the screen which allow for toggling manual/auto exposure, video & still imaging modes, raw/jpeg and video file format. The menu also allows for the adjustment of values such as color, contrast and sharpness to further refine the final image output. Indicators on the very bottom of the screen show elevation, distance and speed, while the map overlay provides a visual aid for position and bearing. As of the time of writing Point-Of-Interest, Ground Station (waypoint flying) and Follow-Me flight modes are not yet supported in the Pilot App. DJI has advised that these features will become available later in the year. DJI has rated the effective range of the P3 to be 1.2 miles in “unobstructed” flying conditions. This seems to be a conservative measure as many operators have been able to achieve over 3 miles of range without performing any antenna modifications. For all practical purposes transmitter range probably exceeds the Phantom’s battery life depending on the surrounding terrain. Based on this, operators should be conscious about keeping a close eye on battery levels to avoid tripping an auto-land procedure on long return routes. 3DR has confirmed that the soon-to-be-released Solo will have less than half the range capability of the Phantom 3. It’s probably safe to say DJI will remain best-in-class in the range category for some time. For the most part the camera performance of the Phantom 3 is stellar in daylight conditions. The 4K video is full of detail and the gimbal is rock-steady in all but the strongest of winds (Note: If the gimbal cannot cope with the wind you probably should land soon). If there is any gripe to be made against the video it could be said that it is actually too sharp. The scaling used to achieve the full readout of sensor width appears to create some aliasing artifacts in the footage as low as -2 sharpness. At -3 sharpness aliasing becomes hard to discern but the detail has also been lost in the codec and it seems near impossible to bring back with sharpening in post (codec related artifacts begin to crop up as the sharpening is reintroduced). I suspect the aliasing issues may be as a result of some vertical line skipping used to maximize the horizontal field of view. The sensor is 4000 pixels wide and UHD is only 3840 pixels wide so there may be some “stretching” of the image that require a line be dropped every 25 or so. If this is the case I’d like to see DJI upgrade their firmware to give a choice of a 1:1 center crop instead of full width scaling. The loss in angle of view would be minimal and if aliasing is eliminated it will be a huge win for this product. I’d also like to see a boost in the recording bitrate to at least 100Mbps. The current 60Mbps bitrate is a bit on the low side for the challenges that aerial camera systems regularly encounter – fine, moving detail such as foliage, grass and waves. Like most re-purposed action cameras, the Phantom 3 camera system does not have an iris, so adjustment of shutter must be used to adjust video exposure. This can prove problematic for video acquisition, as too high a shutter speed in bright filming conditions will create a strobing effect. In times of turbulent flying conditions a high shutter speed may also lead to the dreaded “jello effect” which is a phenomenon caused by a combination of camera wobble and slow scan speed from the camera’s rolling shutter. To overcome the jello and strobing effects ND filters should be placed in front of the lens to allow for slower shutter speeds that will induce image blur which is very effective at masking these issues. 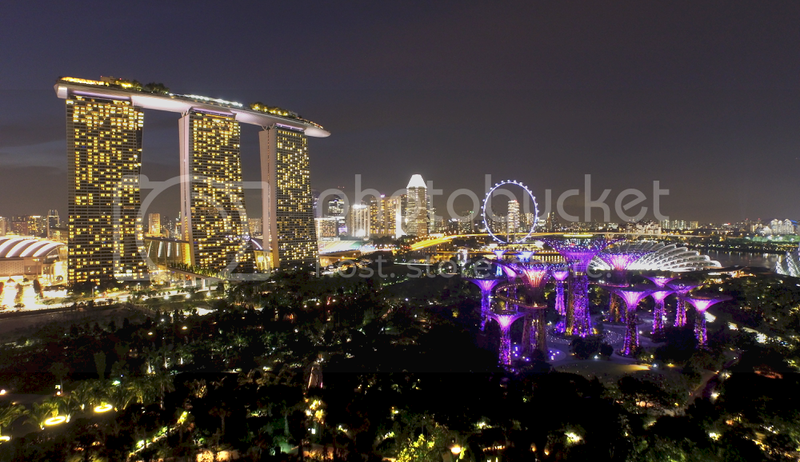 The aforementioned aliasing issues also benefit from image blur made possible with ND filters. At the time of writing DJI has not yet released an ND solution, however the aftermarket has stepped up to fill the void and both PolarPro and Snake River Prototyping have announced and released their own ND filter kits. 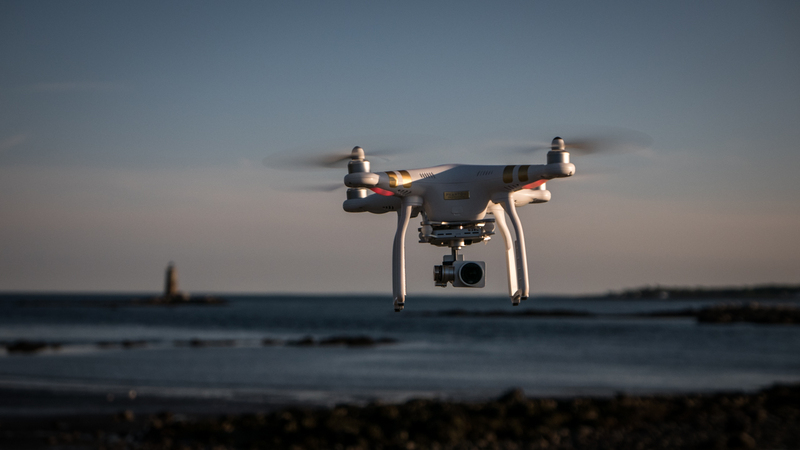 The Phantom 3 Professional is simply the best value on the market today for amateurs looking to step up their game or video professionals looking to dip a toe in aerial filmmaking. The 4K video delivers striking images that will raise the eyebrows of even the most hardened DJI non-believers, especially considering the low entry price of only $1,259.00. Still photographs are very acceptable at lower ISOs but should be shot in raw and processed in an editing program such as Lightroom to get the most out of them. The tiny footprint of the system makes it highly portable for travel use. 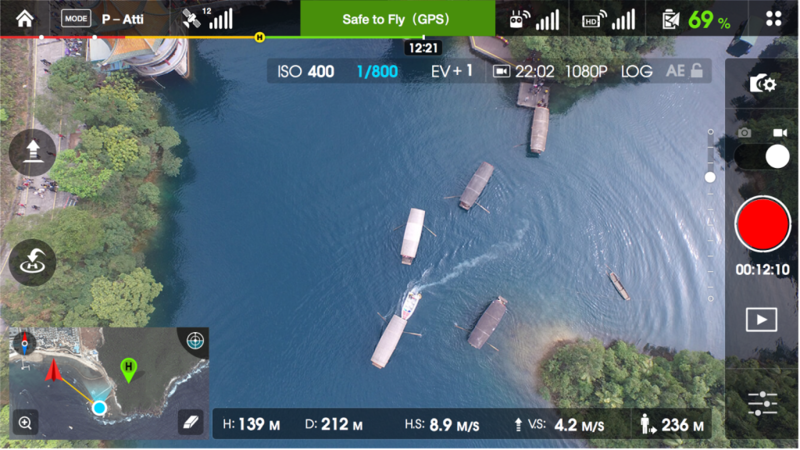 The Pilot app is very effective at delivering precise user control and according to DJI will be receiving advanced POI and waypoint flying updates in the future. The Phantom 3 Professional can be purchased with an extra battery here at Amazon.